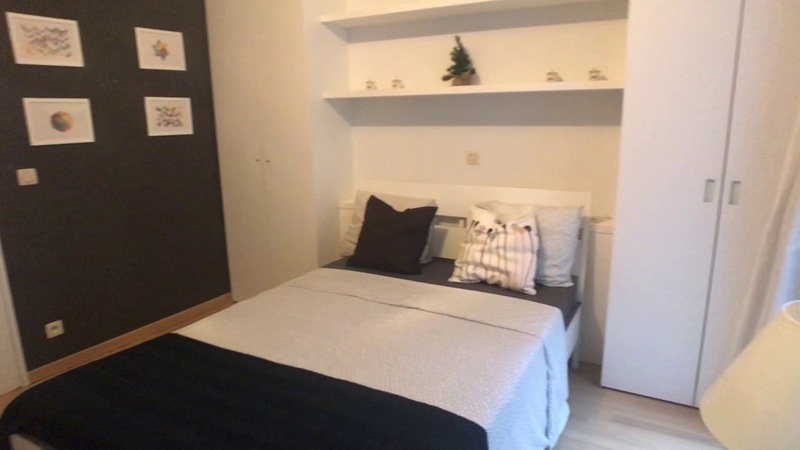 Are you looking for a stylish shared apartment near Brussels' city centre? Of course you are. This cool apartment might just be up your alley. You will love the look of this one. Huge windows, hardwood floors, and sleek furniture. The location and the look. What's not to like? We think it’s ideal for students or young professionals. You'll be surrounded by cool coffee shops, unique boutiques, and colorful streets that boast old warm charm. The spacious floorplan. This place feels like a home, not an apartment. The flawless modern decor, obviously. The Grote Markt is a short stroll away. AC is not installed. Time to invest in fan? This is a great 1st floor, 2-bedroom apartment on Kanonstraat, Brussels. It has huge windows, a sophisticated decor and it's close to shops, restaurants, and bars. We think this apartment is perfect for young professionals or students. You'll be in the heart of Brussels here. Grab your flattie and hit the bars, there are plenty to choose from around here. Unpacking all of your belongings – you'll feel at home in this sprawling flat. Relaxing in the living room – those leather sofas are pretty awesome. Shopping at Grote Markt – so cool to find everything that you need in one place. Parking costs extra. Good thing public transportation is handy.